The CUE feature on the one-time Hampden-Sydney basketball player turned UVA decathlete. Henry Wynne wins the mile at the NCAA Indoor Championships. Full race. 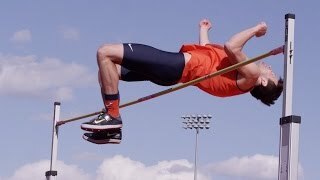 ACC Champion and All-American Filip Mihaljevic takes us through the art of the shot put.